So my daughter, Hannah, got an amazing letter from her teacher yesterday. It wasn’t meant to be, but it was amazing nonetheless. The note was actually a warning about her behavior in her first grade class. I’ve gone ahead and published the letter below in italics. Have a read through for yourself first and then we can catch up after that. I wanted you to be aware of what has been occurring with Hannah. 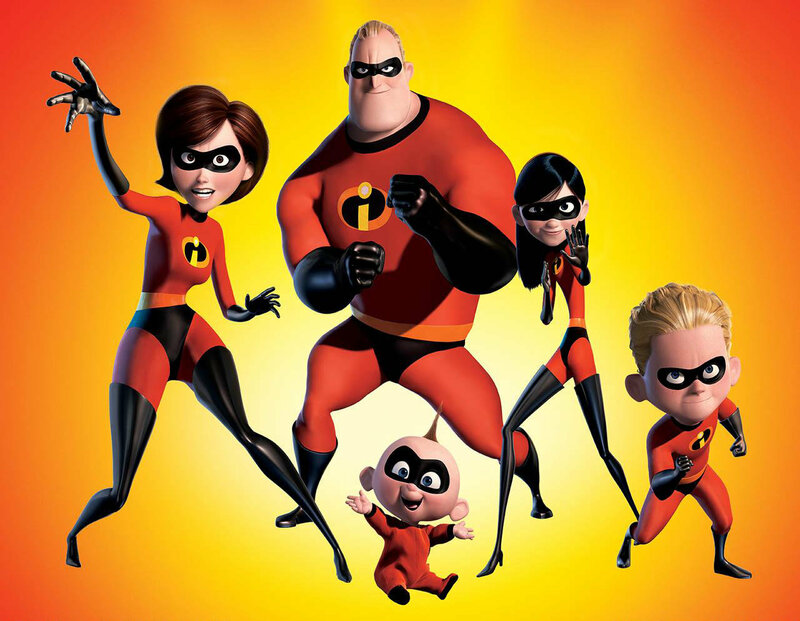 Hannah is very excited by “The Incredibles.” Both yesterday and today it has been all she has been talking about. She is constantly chatting about it during class working time, calling out quotes/phrases from it during the teaching of lessons and she also has been seen naming her classmates characters from the story. Unfortunately, she continues not to complete work and is interrupting many. I have asked her to try not to talk of it during the working, teaching, learning parts of the day and she can discuss it at snack, lunch and recess. It has been reported to me that this behavior has been happening during the Reading Class and special areas (today and yesterday). I have had a conversation again with Hannah reminding her of when she can chat about it . The best thing I can say about kids is that they are basically adults… that haven’t been ruined yet. The bad news is that, so many of these incredibly fun little people (statistically speaking) will succumb to the utter mediocrity, crippling dogma and political correctness of life at the hands of the very adults who somebody else already ruined when they were kids. I’m pretty sure I’m not going to cure cancer, be rich or learn how to play golf, but for the love of Swanny I am going to do everything in my power to make sure my kids aren’t ruined. And this starts with celebrating my daughters’ verve for life. I bring up verve a lot in my writings because I happen to believe that the enthusiasm, vigor and passion we have for everything that happens on this blue marble ball is what makes life worth living. I remember about ten years ago I was in the lobby of the Hampton Inn (very far from New York) in Pennsylvania when I came across a dude literally dressed up like Gandalf from Lord of The Rings. I chatted with the desk attendant, and learned that apparently the annual Fairy Festival happened to be going on that weekend. After a bit of Googling I found the event’s homepage, which explained that the annual outing was a “celebration of the beginning of spring and all of the faerie and nature spirits’ returning to the warm world”. I also learned it was happening like a mile from my wife’s parent’s house. It took all of thirty minutes for me to realize I had to see this and another two hours to convince Jen to come with me. So we show up late in the afternoon at this farm in the middle of nowhere and follow the trail of parked cars until we get to the entrance. After paying five bucks and walking along a patchouli-scented path, I suddenly found myself standing knee deep in Middle Freaking Earth. There had to be at least two thousand people dressed up like wizards, fairies, nymphs, elves, trolls and even a few centaurs. And it was full-on-Bilbo-Baggins-role-playing fantasy for all. In a span of forty-five minutes I saw jousting matches, belly-dancing gypsies, medieval bagpipe bands and a wood nymph dancing competition. And instead of a laugh, well no actually I was laughing a lot. But what I mean is, instead of laughing at these people I was totally in awe. These cats were having the best time of their lives, they were expressing themselves in about as a big a way is possible and they gave zero F—-‘s. I found myself oddly jealous of them and a little bit humbled by their ability to embrace life and of course THEIR verve. I felt kind of like a jerk and a bit small-minded about my obvious ignorance of what was people who clearly knew how to bring it. I never forgot that lesson…well that and I’ve rarely missed a Fairy Festival in the past ten years. This brings me back to Hannah. With all the things that can go wrong in our schools, having your kid pretend to be one of the characters from the “Incredibles” (albeit incessantly) is probably the least of concerns. And it also tells me that whatever part of her that would probably love the Fairy Festival was alive and well within Hannah. She really could give zero F—‘s…..and I admire her for it. And to me that is pretty freaking amazing. Besides, the sequel is coming out in like ten days.